They pointed to the fact that Pilatus Bank is a fully-licensed eurozone bank, which now also operates a branch in London and that any proceeds of criminal activity laundered through it contaminated European financial and real estate markets and could have a potentially harmful effect on regulatory and political institutions at both a national and a European level. They further stated: “In the context of accumulating evidence of Pilatus Bank’s role in money-laundering and corruption scandals at the highest levels of Malta’s government, we have observed with deepening concern the apparent impunity with which the bank continues to operate in Malta. 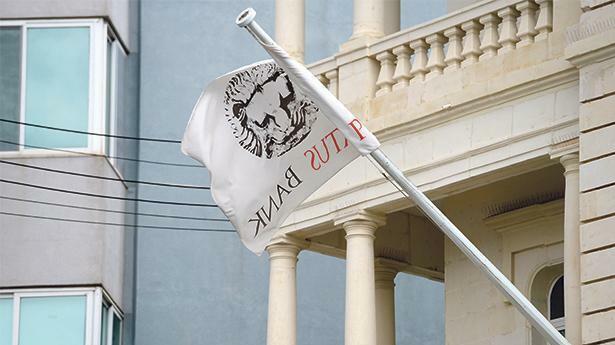 “We view the reluctance of the competent Maltese authorities to act as further evidence of regulatory capture, where the close personal and financial links between Pilatus Bank, the national supervisory authority and the executive branch of government, have worked to suppress any effective national checks on the bank’s operations. “In the absence of effective regulatory scrutiny at the national level, Pilatus Bank has meanwhile been free to pursue investigative journalists and whistleblowers with the full force of the law. The MEPs wrote that the conduct of the Maltese authorities in licensing the bank and allowing its continued operation, despite mounting public evidence of serious anti-money laundering violations, could not be viewed in isolation, but should be viewed in the context of the bank’s close political links to the current national administration. Pilatus Bank’s short client list featured politically exposed persons from Azerbaijan, Angola, and Malta, and included the Prime Minister’s chief of staff Keith Schembri. The MEPs asked to be kept informed of any developments in the inquiry. The inquiry by the EBA was launched following a formal request by the European Commission’s DG Justice. The letter, to EBA chairpman Andrea Enria, was co-signed by MEPs from the EPP, S&D, ECR, ALDE, GUE and the Greens-EFA. “We are confident that the very serious revelations concerning Pilatus Bank will be thoroughly investigated by the EBA and that the EU’s financial system will be protected from the laundering of the proceeds of criminal activity”. Mr Casa had sent the FIAU reports to the European Commission in November last year. The EBA is also investigating Pilatus Bank and is currently assessing whether the situation justifies its direct intervention following a request made by David Casa last December.